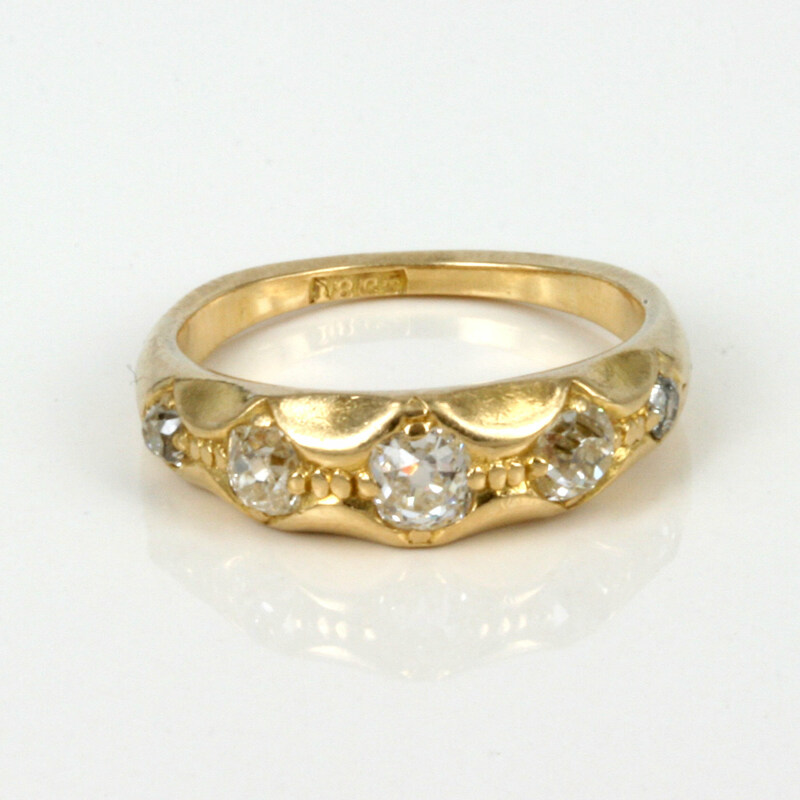 18ct 5 stone diamond ring circa 1900. Product code: 1288 Categories: Sold Items, Sold Rings. This is a very attractive antique diamond ring perfect for any occasion including as an engagement ring. 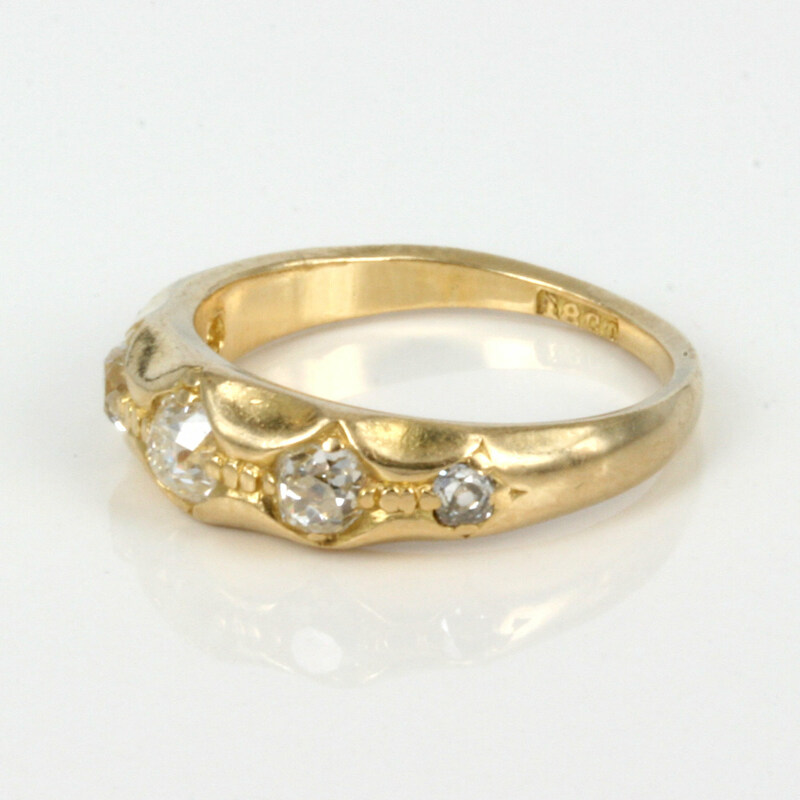 Made in 18ct yellow gold around 1900, it is set with 5 vibrant diamonds that totla 0.60 carats in the most wonderful and unique setting. Antique diamond rings such as this are perfect for everyday wear as the diamonds sit into the ring and the ring is nice and flat. A very elegant antique diamond ring from the early 1900’s.